Welcome to the GToTree wiki! 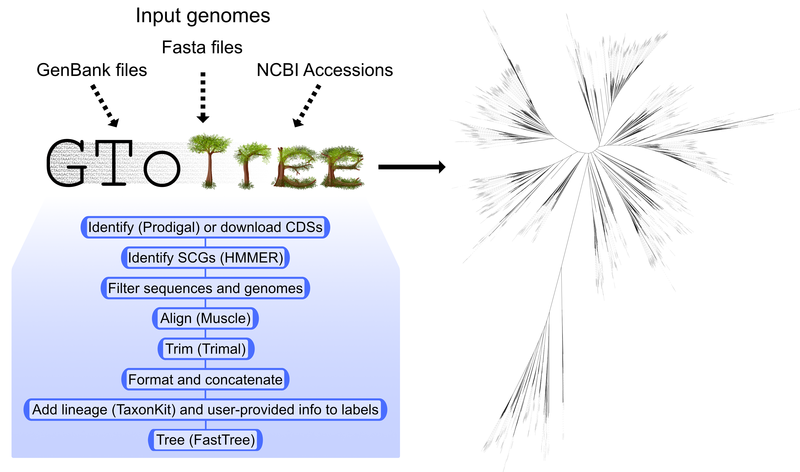 GToTree is a user-friendly workflow for phylogenomics intended to give more researchers the capability to create phylogenomic trees. The open-access Bioinformatics Journal publication is available here. For an overview of what this is all about, see the "What is GToTree?" page. Or, to see some practical ways GToTree can be helpful, scan through the Example usage page.